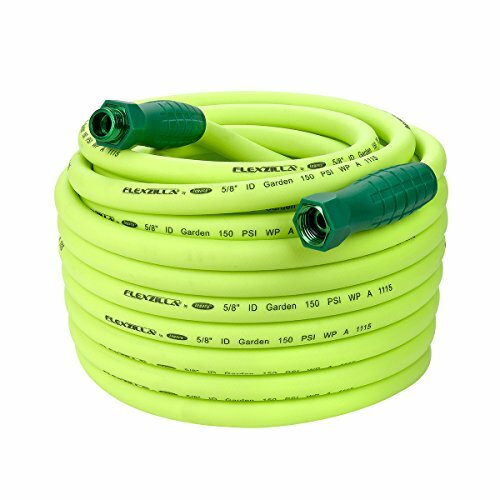 Flexzilla premium Hybrid polymer garden hose now features Swivel Grip female & Male fittings. The comfortable gripping surface is much easier to turn & tighten. Flexzilla Swivel Grip makes connecting the hose to the spigot or attachments a breeze. The swivel action ensures that either end can be easily attached & the hose extended without twisting, so sprinklers lie flat & your work is more efficient. Plus, with our superior female hose end O-ring seal, you get a long-term, leak-free connection at the spigot that outlasts the competition by far. The premium Hybrid polymer inner tube material is drinking water safe.